Translated title: "Tea Rose", a cross stitch design by C Mon Monde. 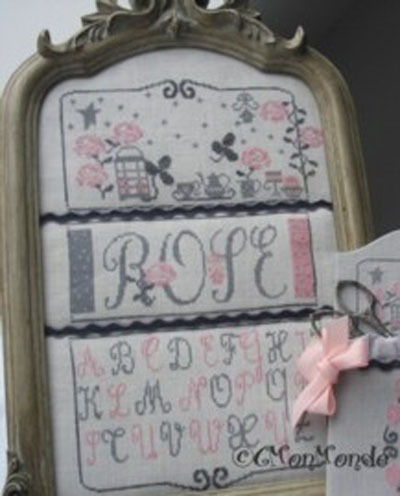 "Tea Rose" is a cross-stitch chart with instructions translated in English. It comprises 2 patterns. Specialty stitches: This is a pure cross-stitch design with very few back stitches and some optional eyelet stitches. for the second design: on a 32 count linen, colour Zweigart 705, as a miniature using one strand of cotton over one thread of linen. Recommended Fabric: of your choice regarding the type (linen, evenweave or aida) and the stitch count, colour "off-white"
This product is a cross-stitch chart (2 patterns) + instructions translated in English.